I’ve been seeing more and more of GoNutrition popping up on my social media, blogs and news feeds so I thought it about time I tried them out. It seems I’m way behind the times here as GoNutrition was launched in 2013 by the brains behind MyProtein, Oliver Cookson (which he sold in 2011 for a nice tidy sum) – this guys definitely knows his stuff! 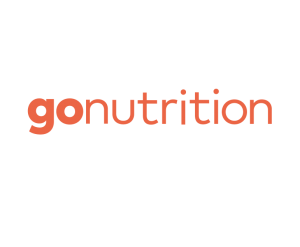 GoNutrition tout some strong claims for their products including a commitment to transparency, quality, innovation and results. This industry bamboozles with science claims, clever marketing and pretty packaging, so I always start off cynical with any new product or brand. Transparency is something that the sports supplement industry DEFINITELY needs more of so GoNutrition have already got my interest with that one. So I went to the website and browsed the extensive collection of products. Loads to choose from – a bit overwhelming actually. I decided for my first purchase I’m going to go for something safe and something that I can easily judge the quality of – whey protein powder. Off I tootle to have a look through the whey protein powders. I actually found the range of products a bit confusing until I understood the naming convention. If you’re a newbie I’d always recommend trying the product with the least amount of ingredients until you know what you need for your goals. You can use the “Shop by goal” if you’re not 100% sure. There are eight different types of whey protein to choose from! Eight!!! And around 16 flavours! There are Whey Protein 80, 90 and 95. Each number indicates the percentage of the protein content in each product so 80 is 80%, 90 is 90% and 95 is 95%. The other blends include extra ingredients such as BCAAs or Green Tea. I already supplement for these so I opted for the Whey Protein Isolate 90 as this has the most comparable macro profile to the current products that I use. Ordering is pretty simple, they accept Paypal (which I always use!) and there are a couple of delivery options. I’m normally pretty good at checking voucher codes but I moronically forgot this time. They do a 10% off your first order, it is a bit annoying I missed out on that one but they seem to regularly do deals so I’ll try to use a code next time, if I find one for you guys I’ll pop it below. I opted for standard two to five days. The item came well packaged bang on day five, I will say though this was the week we had heavy snow in the UK and we hadn’t been receiving post for two of those five days so it may well have come earlier. So first impressions with GoNutrition are good, the product range is extensive, the prices are mid-range, the website is super easy to use, delivery was on time and well packaged. The products have really simple ingredient labeling on them, which is really good and wish more companies would do this. All in all, I definitely intend on using them again. 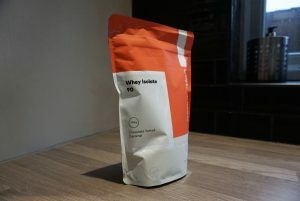 If you’re interested in my thoughts on the products itself you can find a review for the Whey Protein 90 in my product review post.